Hawaiian Seabirds at Risk: Research reveals alarming decline in Hawaiian Petrel and Newell’s Shearwater populations. Two native Hawaiian seabird species, the International Union for the Conservation of Nature Red-listed Vulnerable Hawaiian Petrel and Endangered Newell’s Shearwater, are experiencing steep decline according to a new research paper published in The Condor. The paper, titled “Declining population trends of Hawaiian Petrel and Newell’s Shearwater on the island of Kaua’i, Hawaii, USA” reveals that the native populations have declined by 78% and 94% respectively over the past 20 years. The causes identified by the researchers include power line collision, light pollution, invasive species, and diseases. Threats of marine pollution, plastic ingestion, overfishing, and effects of climate change and fisheries bycatch are possibly contributing to decline as well. These seabirds face a wide range of threats. Conservation effort needs to be focused on reducing power line collisions, fall-out related to artificial lights, the control of introduced predators, and the overall protection of their breeding habitats. Many of these efforts are now underway on Kauai, and I am hopeful that these will continue and expand over the next few years. 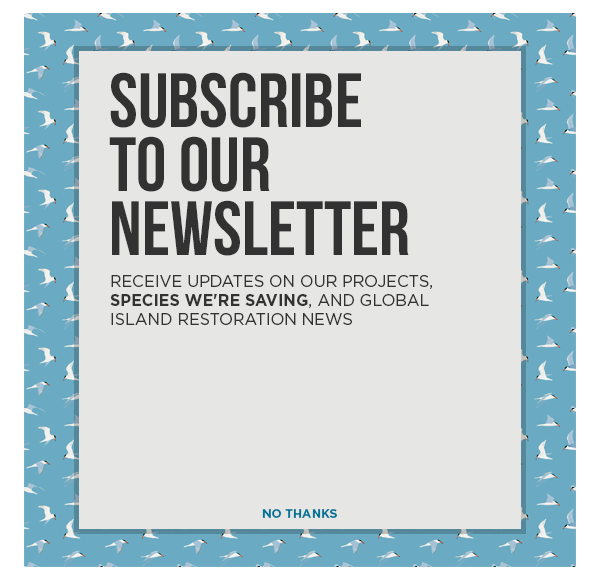 Efforts to control invasive species populations have been undertaken to benefit the Hawaiian Petrel and Newell’s Shearwater. However, significant threats still exist. Not only is conservation crucial for the survival of the species, but also for the health of Hawaii’s ecosystems. The Hawaiian Petrel and Newell’s Shearwater are ecologically and culturally important in Hawaii. Continued monitoring and intensive conservation efforts offer hope for these threatened seabirds. There is a high probability of success for DLNR’s proposed invasive rat eradication which will dramatically increase predator-free habitat in Hawaii. The project will only succeed with support from a community that prioritizes protecting native seabirds over damaging invasive rats.